Download the informational pdf via the link below to open up your career opportunities. The PDF contains our instructions. Please attach your resume using this email address. This is an outstanding opportunity to join a well-established wildlife control company that believes that one of the most critical aspects of business success lies with the people that make up our team. in our Dayton, OH territory starting immediately. While the opportunity is in wildlife control, it is a profession working with people. We need an outgoing people person. It is a physically demanding opportunity and requires lifting 28 - 40ft ladders, working at heights, traversing two story roofs, working in hot attics, driving company vehicles and towing trailers, and close contact with skunks, raccoons, bats and other wildlife. Our candidate must be self-motivated, able to work independently, yet able to accept directions and follow company policies. You must be able to communicate with customers effectively and in a professional manner. This is a very rewarding and profitable career for the right person. There are new experiences around every corner, boredom is not and never will be an issue related to this position. 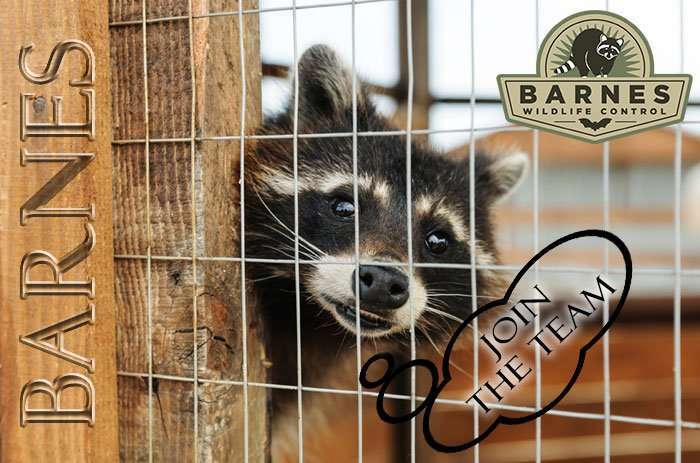 We are looking for a people person that can help build professional relationships with our customers and solve human - wildlife conflicts. We currently have an opportunity for a wildlife control technician in our Dayton, OH territory starting immediately.